Here's what you need to know now for Monday, August 21. Facebook Inc. (FB - Get Report) and its Instagram platform will likely see an uptick in users as folks tune in to their news feeds to post and monitor happenings around Monday's solar eclipse. And the more I thought about it the more I thought just how well-positioned Facebook is to capitalize on once- or twice-in-a-lifetime events like Monday's solar eclipse. It sent me on a tangent that I typically go down when talking about Facebook: Facebook has become as ubiquitous as email addresses. "It's going to be like your social security number," I would tell people in May of 2012 when Facebook debuted at $38 per share, then ticked down to as low as $18 per share in the subsequent months. Well now Facebook is trading at about $166 per share and is the one of the world's largest companies. It has bolstered capabilities in virtual reality, messaging, artificial intelligence and telecommunications. Facebook's growth over the past five-plus years makes you think about what Facebook has that Twitter Inc. (TWTR - Get Report) and Snap Inc. (SNAP - Get Report) just don't have. It's hard to quantify, and although, we have been able to quantify things like, say, the President's value to Twitter, it's tough to say just what makes Facebook such a compelling company. Part of it is the Instagram-effect. The vanity play it feeds in millennials that things like Snap and Twitter just don't cater to. It's partly the ubiquity in which Facebook is used: try signing into any Zynga product or any ancillary social media account, such as Tinder -- owned by Match Group Inc. ( MTCH - Get Report) -- or GroupOn Inc. ( GRPN - Get Report) , without a Facebook account. And then there's the fact that Facebook has become the only real social media where you can find all facets of someone's life. Twitter may be more business- or quick reaction-focused, while Snap includes the vanity play mentioned above but really only shares those images and moments with your close circle of friends. Facebook tends to be an all-encompassing platform where you want to make memories that last. To be sure, I am still a fan of Twitter and while I am skeptical of its prospects as a public company, I still think that Snapchat has its place in the world, too. I am just amazed at the growing power that Facebook wields. With news that the company is looking to beef up its classifieds section, called Facebook Marketplace to compete with Craigslist, and the recent introduction of Facebook pay, the company's payments platform, it's obivous that this baby isn't going to be put into a corner. This is an excerpt from "In Case You Missed It," a daily newsletter brought to you by TheStreet. Sign up here. 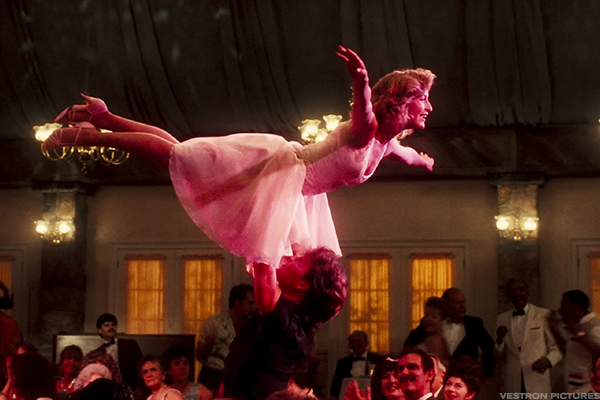 While the U.S. was focused on the once-in-generation solar eclipse on Monday, another once-in-generation event was celebrating an anniversary: "Dirty Dancing." The film made its debut 30 years ago today in 1987. Spending the summer of 1963 at a Catskills resort with her family, Frances "Baby" Houseman (Jennifer Grey) falls in love with the camp's dance instructor, Johnny Castle (Patrick Swayze). The movie would go on to gross about $64 million (about $500 million in today's cash) in worldwide sales. Collectively, Monday's solar eclipse will cost U.S. businesses about $700 million in lost productivity. Read more from "In Case You Missed It." Sign up here. Did Elon Musk Just Open the Door to Hacked Tesla Model 3s?